The next North City Tech Meetup will feature Professor Joey Key (U.W. Bothell) on ” LIGO, Black Holes, and Our New View of the Universe”. We live in the new era of multi-messenger astronomy, with the LIGO gravitational wave detectors partnering with telescopes around the world to study cosmic collisions of black holes and neutron stars. This new astronomy allows us to peer deeper into the cosmos and reach farther back into the history of our Universe than ever before. Dr. Joey Shapiro Key is Assistant Professor of Physics at the University of Washington Bothell. She has a BA in Astrophysics from William College and a PhD in Physics from Montana State University. 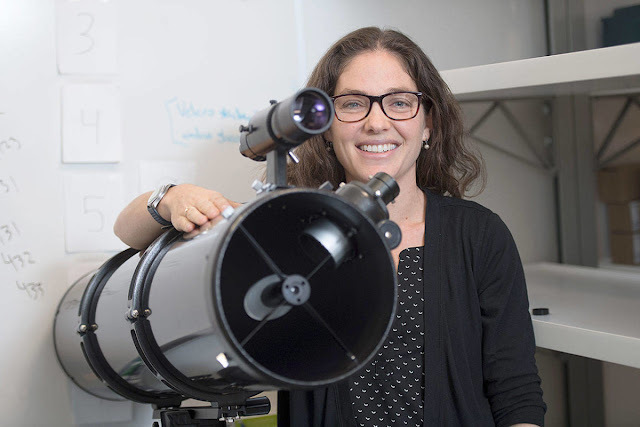 She works on data analysis and parameter estimation in gravitational wave astronomy for the Laser Interferometer Gravitational wave Observatory (LIGO) Scientific Collaboration (LSC), European Space Agency (ESA) and NASA Laser Interferometer Space Antenna (LISA) mission, and the North American Nanohertz Observatory for Gravitational waves (NANOGrav).